Senior officials from the United States and North Korea have kicked off working-level talks in Sweden to prepare for a second summit between the leaders of the two countries, sources said Sunday. 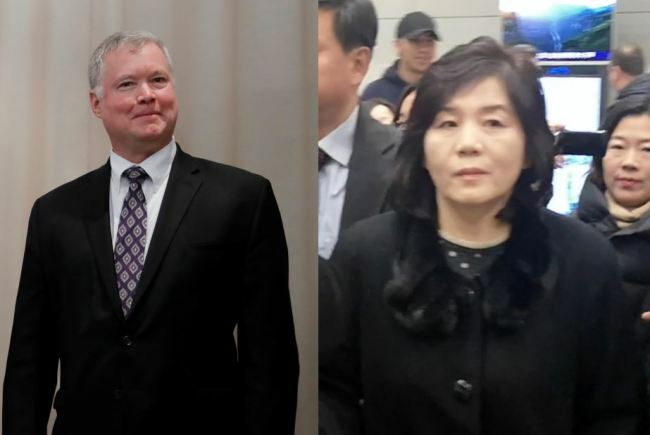 It is the first time that Biegun has met Choe for working-level denuclearization talks since he became the US nuclear envoy in August last year. The meeting came as Kim Yong-chol, a top North Korean official, wrapped up his three-day visit to Washington on Sunday after meeting with US President Donald Trump and agreeing to hold a second summit next month between Trump and the North's leader, Kim Jong-un. But the denuclearization talks have been at an impasse, with the North calling for sanctions relief and corresponding measures by the US for the denuclearization steps that it has taken so far, such as the dismantling of a nuclear test site. But Washington has insisted that sanctions and pressure will be maintained until North Korea implements sincere denuclearization measures, including declaring a list of its nuclear weapons. Experts have said that the US and North Korea may seek to focus on making some concessions to break the current deadlock.